Both Case IH and Deutz-Fahr will preview new tractors at farm machinery shows in the US next month. The French SIMA show is just a few weeks away (February 24-28), but the international show circuit actually kicks off 10 days earlier with two major events in North America: the National Farm Machinery show in Louisville, Kentucky (February 13-16), and the World Ag Expo, in Tulare, California, which starts a day earlier and ends on February 14. The early indications are that there will be at least one new tractor launch at both events. Teaser pictures and video on social media show that the new front end on the latest Case IH Magnum closely resembles the Optum, and inside the new cab is a new operating console and joystick. Otherwise, Case IH remains tight-lipped. All we know is that the new tractor will be premiered at the World Ag Expo on February 13, and available sometime 2020. We know nothing about the major global tractor launch Deutz-Fahr is planning for the National Farm Machinery show but, according to a Dutch website, the eagerly-awaited 350-440hp 11 Series goes into production this year. Providing this is correct then perhaps Deutz-Fahr has shipped one across the Atlantic? So, when will we see the new Case IH and Deutz-Fahr tractors on this side of the pond? SIMA would appear an ideal opportunity for a first European outing for the new Magnum but we understand that this is being kept for Agritechnica, in November. 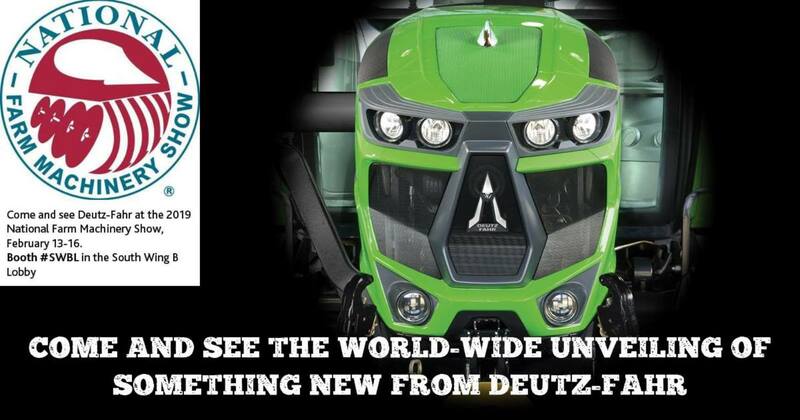 It remains to be seen where Deutz-Fahr will first show its latest tractor in Europe: Paris or Hannover. One thing is certain, with SIMA and Agritechnica on the agenda again this year, we can expect lots of new tractors.